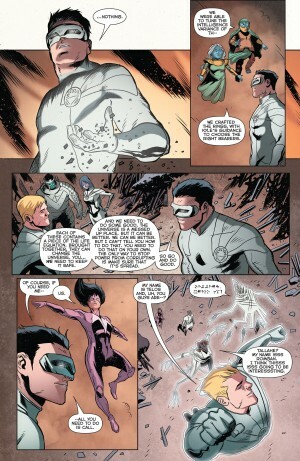 Green Lantern New Guardians #40 Spoilers: The Fate Of White Lantern Kyle Rayner Revealed! Does He Die Or Evolve For Post-Convergence Omega Men? 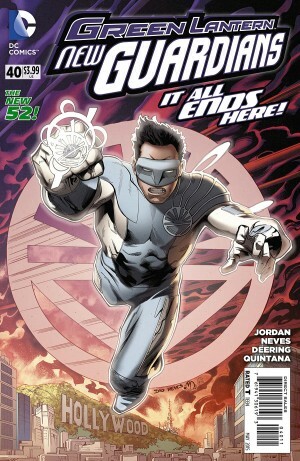 Green Lantern New Guardians #40 hit stands today and revealed the fate of the White Lantern Kyle Rayner! This was important as the Post-Convergence Omega Men #1 June 2015 DC Comics solicitation teased an ominous fate for the beloved character. So, does Kyle Rayner die or evolve? 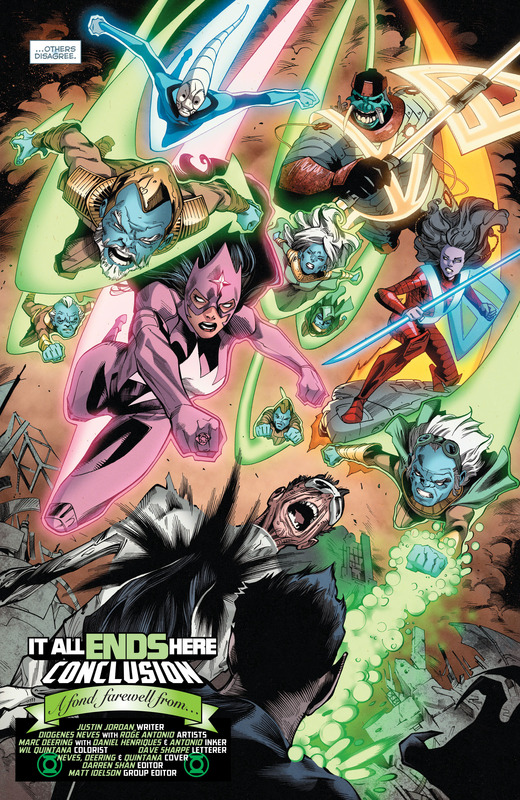 Spoilers for DC Comics’ Green Lantern New Guardians #40 follow. 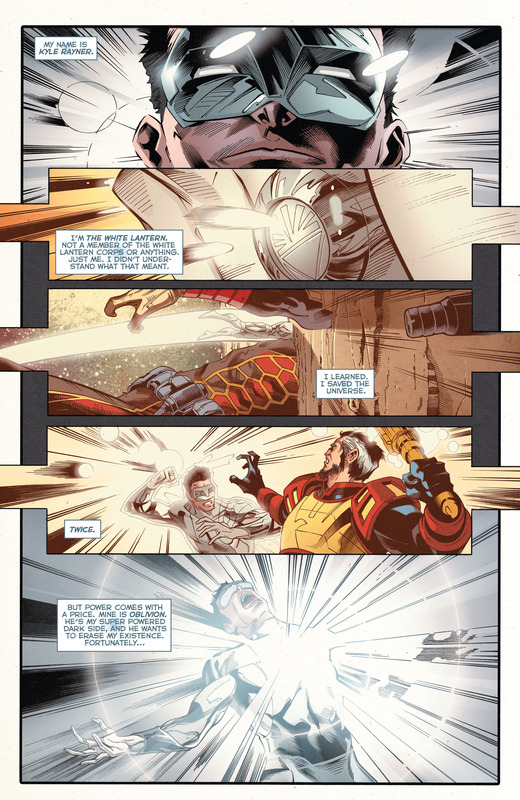 The book opens with a set up for the issue. There are two Kyle Rayners: the White Lantern “good one” and the evil aspect of himself called Oblivion. 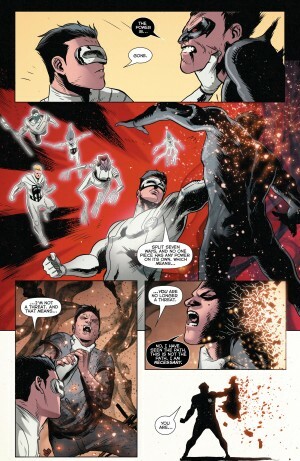 This black-hearted Kyle Rayner, Oblivion, seemingly wants all the white lantern power for himself. 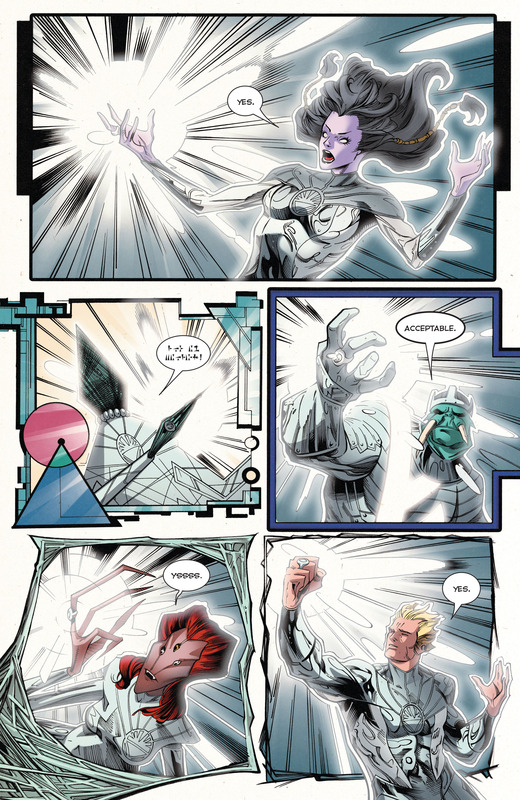 To thwart Oblivion, and find peace in his own life as being THE White Lantern was a lot one man’s shoulders, Kyle Rayner divides up the power and creates White Lantern rings for a seven person White Lantern Corps. The Oblivion version of Kyle Rayner seemingly dies. The White Lantern Corps members goes their separate ways and Kyle Rayner continues his romantic liaison with… Carol Ferris. Hal Jordan’s Carol Ferris, Star Sapphire! 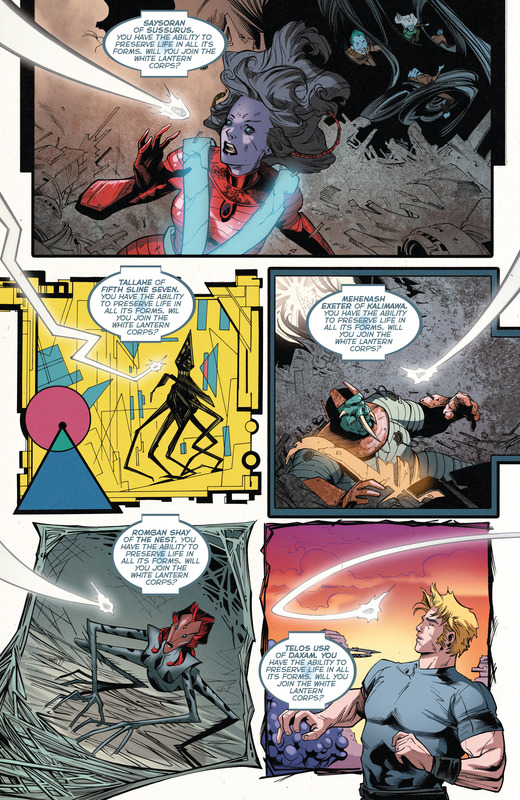 So is Oblivion’s seeming death, the “Kyle Rayner death” in the post-Convergence Omega Men #1 DC Comics solicitation? 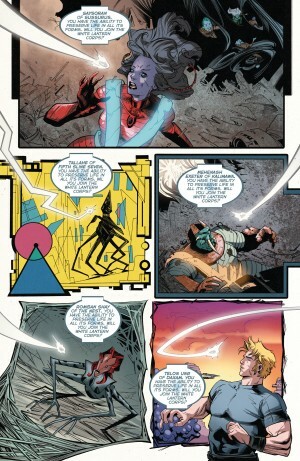 Or will Convergence change Kyle Rayner’s fate heading into Omega Men? 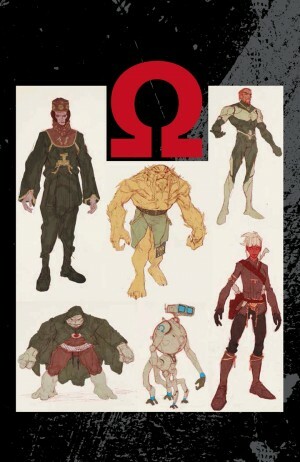 The Omega Men are back in an all-new series! They’ve murdered White Lantern Kyle Rayner and now, the universe wants them to pay! 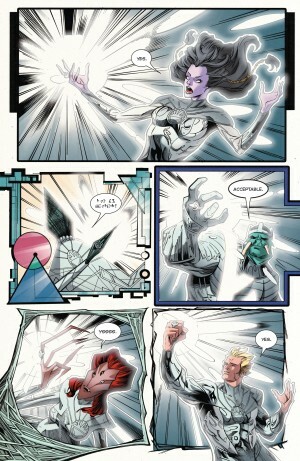 Who are these intergalactic criminals – and is there more to their actions than meets the eye? Thanks for reading. All feedback welcome.